JNN 1st May 2014 Chennai : Twin explosions took place in the Bangalore-Guwahati Express on Platform 9 of the Chennai Central Railway station at 7:15 am. The explosion took place in two bogies S4 and S5. The train had reached the Chennai Central railway station at 7.05am at Platform No 9 and some passengers had got down from the train. Few others going further towards Guwahati stayed back in the train which was to leave the station at 7.50am. Sources say that though the explosion was major, which injured 14 people and killed 1. It is said that the incident happened on a static train that was about to leave the station. Tamil Nadu DGP has also confirmed the number of the injured. According to the DGP, the railway minister has announced an ex-gratia of Rs 1 Lakh for the deceased, Rs 55,000 for the two seriously injured and Rs 5,000 for the 7 minor injured. Police identified the dead as Swathi, 22, from Guntur. The condition of a few passengers is serious. Investigators who visited the spot said it appeared to have been two explosions, below seat number 70 of S4 compartment and seat number 30 of S5 compartment. Train services from the area have been delayed or stopped. However, the Bangalore-Guwahati Express will leave in about half an hour, sources say. 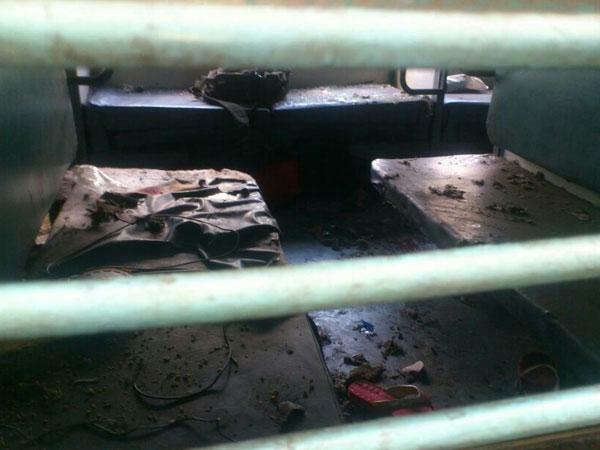 The Tamil Nadu police said that the suspect was hiding inside the train since Tuesday and has been arrested. One more person has been detained from the airport later in the day. The bomb was kept under a seat in two black bags. Since the train was running late, it is still not certain whether Chennai was the target or some other city. This entry was posted in Jafria and tagged Bangalore-Guwahati Express, Chennai, Chennai Central Railway station, Guwahati, Tamil Nadu DGP. Bookmark the permalink.